We always advise people to undertake their own research before attending an exhibition. Its important to visit exhibitors’ website and study the brands that will be there so you have an idea what will be available to you. I can’t stress enough – knowledge is power. Therefore gathering as much reading material as possible from an exhibition will give you a much better picture of opportunities available. In my opinion, meeting people physically is what exhibitions are all about. Face-to-face, you have the opportunity to get your questions answered on the spot. Also, franchise seminars provide an excellent opportunity for you to listen to industry specialists and gain an understanding of how franchising works and how you can benefit over starting a business on your own. FDS exhibits, distributing it's franchise publication The Franchise Magazine to visitors. We also sell copies of The UK Franchise Directory, as well as helping people who are looking to own a franchise and provide them with unbiased advice and guidance. We also exhibit to meet with people who are looking to franchise their business and provide initial advice and guidance. Exhibitions present a great opportunity to obtain free copies of franchise magazines, prospectuses and other key reading material. With so many opportunities to choose from, you may not be able to do it all in one day so plan ahead and make a list of those brands you would like to talk to. Also take a look at the highly informative seminars and attend the ones that will be of most interest to you. Above all, enjoy your visit to the show; the range of exciting franchise opportunities that are out there will amaze you. Exhibitions are probably the most effective and efficient way to conduct your research into investing in a franchise, offering you the chance to discover what you need to know about becoming a franchisee or franchisor. You can access multiple points of view and huge amounts of expertise under one roof, and the National Franchise Exhibition is the UK’s largest show dedicated to the franchising sector, which continues to prosper and grow. 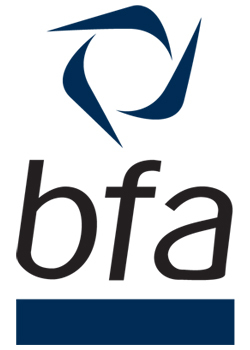 At bfa-accredited exhibitions such as this one, you have the peace of mind in knowing that only members of the bfa or brands that have been exhibition-accredited by the bfa will be there. So you’ll be able to speak directly to some 150 franchisors from a broad range of ethical brands, business sectors and investment levels. Also present will be bfa representatives and a number of professional advisors, such as consultants, banks, accountants and solicitors, who are all experts in franchising. This is extremely useful as it means you can pick up lots of great information at absolutely no cost, as well as making several new contacts under one roof. This can be vital as you progress in the industry.